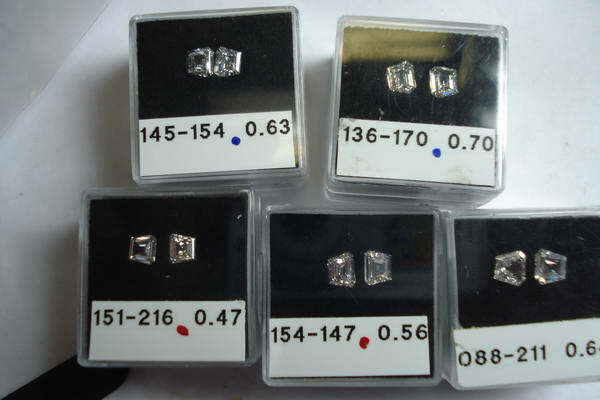 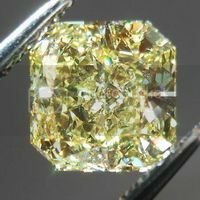 Buying large parcels of light yellow diamonds like the ones we do allows us a lot of freedom to make diamond wedding bands, and earrings - as we can find a lot of matching sets in the large quantities. 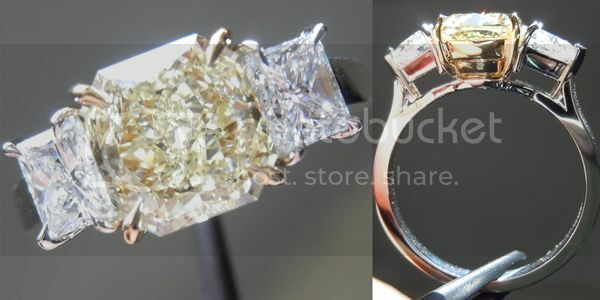 A "tall" stone like this really deserves soolo... or "Star" treatment. 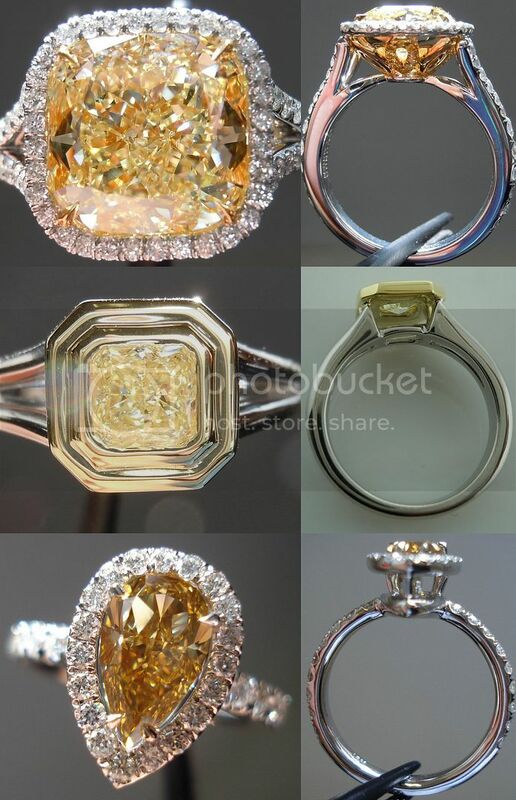 Maybe a halo ring - or a pendant. 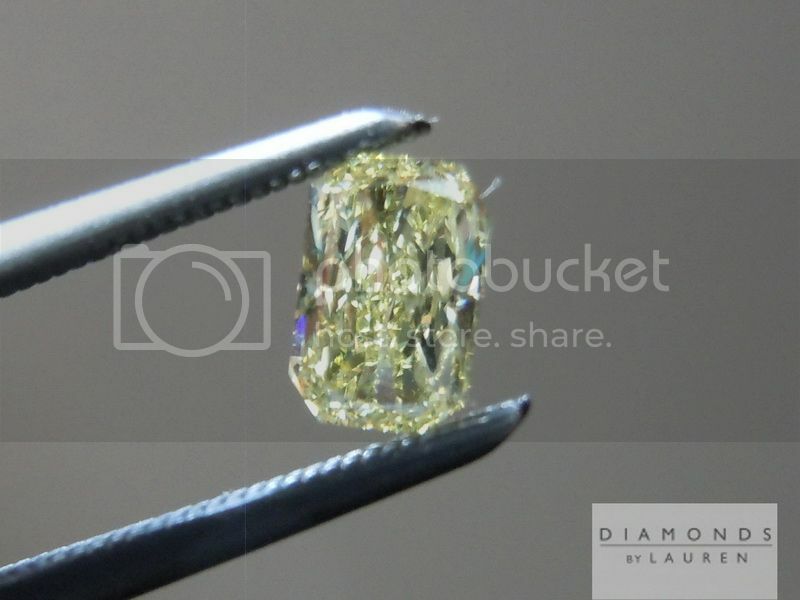 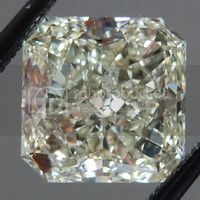 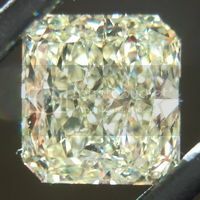 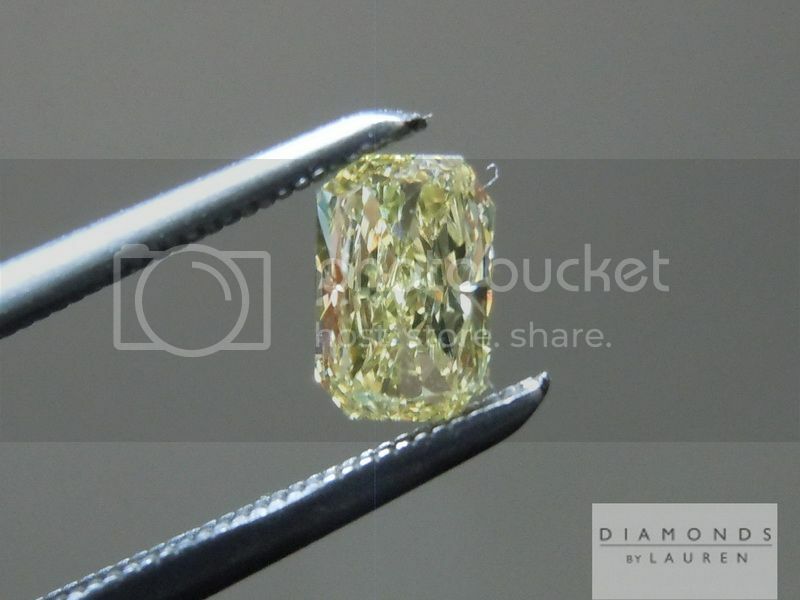 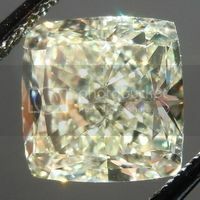 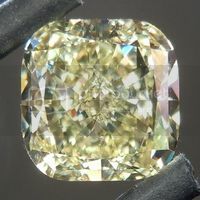 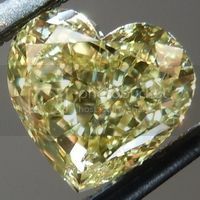 This is one of the stronger colored Fancy Yellow Diamonds in the parcel. 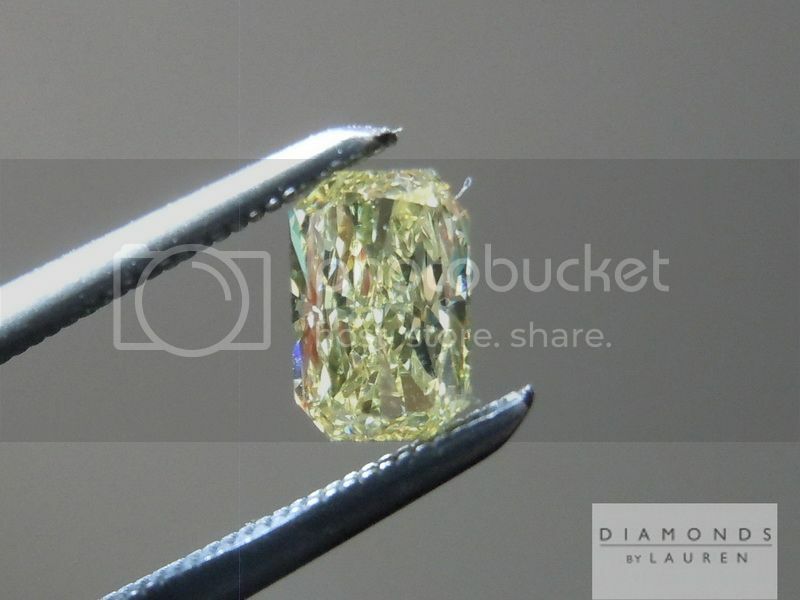 Perfectly clean – so we grade her VS1. 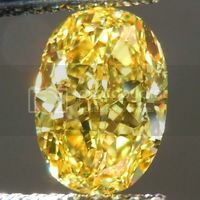 Great sparkle and nice size for the weight.